Genuine OEM Lanier Toner Cartridge, Cyan, 9,500 page yield. Lanier part number: Lanier 841921, 841926, 841921. Color Laser Toner Cartridge compatible with Lanier MP C2003, MP C2004, MP C2503, MP C2504. Compatible Lanier Toner Cartridge, Cyan, 9,500 page yield. Replaces Lanier part number: Lanier 841921, 841926. Color Laser Toner Cartridge compatible with Lanier MP C2003, MP C2004, MP C2503, MP C2504. Compatible Lanier Toner Cartridge, Magenta, 9,500 page yield. Replaces Lanier part number: Lanier 841920, 841927. Color Laser Toner Cartridge compatible with Lanier MP C2003, MP C2004, MP C2503, MP C2504. Compatible Lanier Toner Cartridge, Yellow, 9,500 page yield. Replaces Lanier part number: Lanier 841919, 841928. Color Laser Toner Cartridge compatible with Lanier MP C2003, MP C2004, MP C2503, MP C2504. Compatible Lanier Toner Cartridge, Black, 15,000 page yield. Replaces Lanier part number: Lanier 841918, 841925. 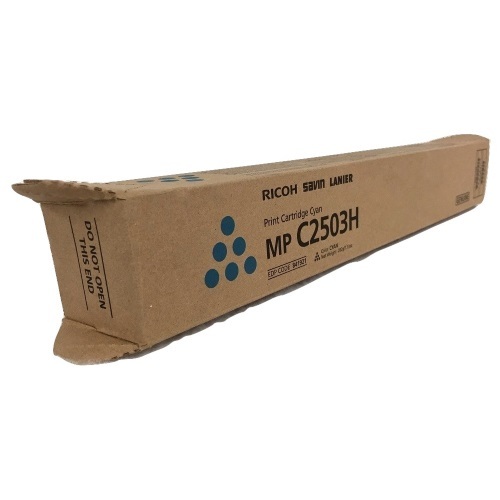 Laser Toner Cartridge compatible with Lanier MP C2003, MP C2004, MP C2503, MP C2504.